While the trees used to cover 2,000,000 acres of the California coast, clear-cut logging has brought that area down to just 38,982 acres of forests. It wasn’t until 1968 that Redwood National Park was created, by which time 90% of the great trees had already been cut down. Great efforts are being made today to preserve these trees and the land where they are located. 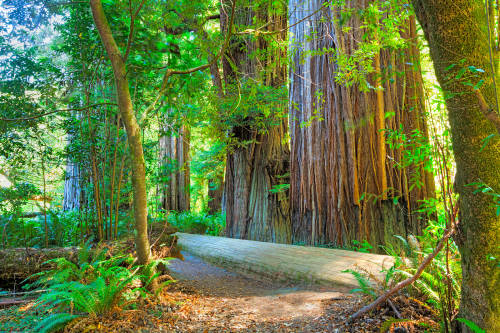 Those looking to visit Redwood National Park have a variety of options when it comes to what to see and do in the park. Get out of your car and take a photograph with one of the majestic trees. Find one of the few that you can drive a car through. Walk up to one and touch it, because you’re touching history. 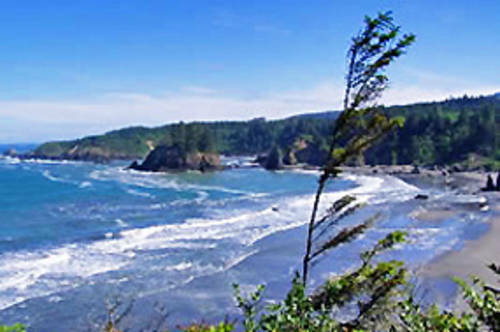 Go on one or two of many scenic drives, head to the beach for some whale-watching, go hiking, bicycling, camping, horseback riding or kayaking. You’re sure to leave the park feeling a certain sense of wonder after having experienced Redwood National Park. For those who want the luxury of a fully furnished vacation home, Redwood Coast Vacation Rentals has something for everyone. Don't miss out on these great pet-friendly cabins! The Woodland Villa Country Cabins are nestled back in the trees just minutes from where the Klamath River meets the sea...what more could you ask for on vacation! Redwood National Park: The History and the Beauty!